WHITNEY HOUSTON’S FUNERAL is to be streamed live on the internet this Saturday, the singer’s publicist has said. A camera will broadcast the service from the service at the New Hope Baptist Church in New Jersey, where Houston first sang as a child. The event may also be carried by some television stations. Fans have been leaving flowers outside the church throughout the week. The service itself is to be invitation only at the request of the singer’s family. 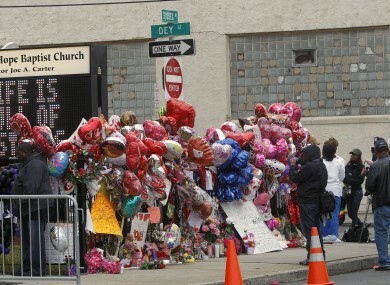 Yesterday the owner of a funeral home in Newark said that the memorial is to be intimate and personal. “They have shared her for 30 something years with the city, the state, with the world. this is their time now for their farewell,” said Carolyn Whigham. “The family thanks all the fans, the friends and the media, but this time is their private time”. Houston was found last Saturday at a hotel in California just hours before she was due to perform at a pre-Grammy Awards party. It is due to take several weeks before a full report into her death is to be issued by a coroner. Email “Whitney Houston funeral to be streamed live on the internet”. Feedback on “Whitney Houston funeral to be streamed live on the internet”.